One of Texas’ best kept secrets, in my opinion, is their tasty and vast selection of wine and craft beer. Although Texas is the 5th largest wine producing state of the union and the 8th largest for craft beer; not many people outside of Texas or the competitive adult libations industry even know that they have 400 wineries and over 200 craft breweries and microbreweries. With wine and craft beer trails & tours, and a festival almost every weekend celebrating one or the other across Texas all year long, one is hard pressed not to feel a bit overwhelmed. Where do you begin? I've compiled a short list of standout wineries and craft breweries, that give you more than just your average tour and tasting. The people that run and work these wineries & breweries are the salt of the earth, and will woo you with their lyrical story telling abilities. To find out more about Texas wineries and craft breweries go to www.traveltexas.com, check out our Texas To Do Films on wine, or go to page 55 of the Texas Tourism Travel Guide. Just outside Lubbock, Texas, Pheasant Ridge Winery is a mix of modern sophistication and classic country Texas; this award winning winery is 1 of 4 in Texas that grow their own grapes and it's the 7th oldest winery in the State. Bingham Family Vineyards and Farm, south west of Lubbock, Texas. This winery has the best of both worlds, fun for the whole family. The kids can see & pet farm animals, learn about farm life and mom and dad can enjoy a tasty adult beverage along the way. 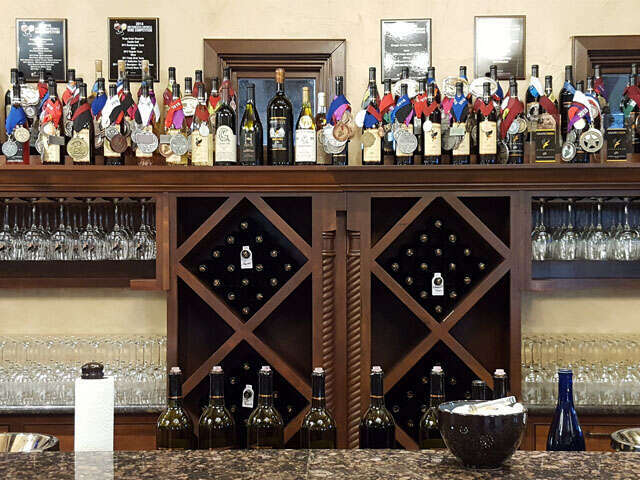 4.0 Cellars is located just outside of Fredericksburg, Texas, in the heart of the Texas Hill Country, they offer a relaxing and elegant setting for discovering and enjoying Texas wines. Part of the Wine Road 290 Trail, which is the second most traveled wine road in the U.S., they pride themselves on providing wine enthusiasts and beginners alike with the ultimate "Texas Wine Experience." 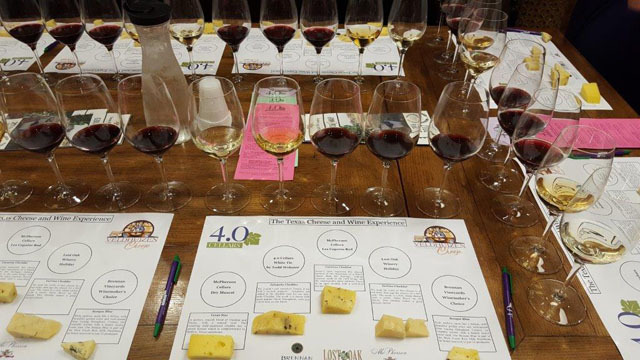 4.0 Cellars also feature a wide variety of Texas foods, including cheeses from Dublin, Texas, olive oils from San Saba, Texas, and locally-made chocolates and will pair them for a complete tasting experience. Messina Hof, also found on the Wine Road 290 Trail was founded by, Paul & Merrill Bonarrigo who planted their first vineyard in 1977 and named it Messina Hof, after their family origins of Messina, Sicily and Hof, Germany. The Bonarrigos were pioneers of the Texas wine industry having established themselves as the 4th winery in the state. Today this winery remains a leader in the Texas wine industry with three locations in Bryan, Fredericksburg, and Grapevine. 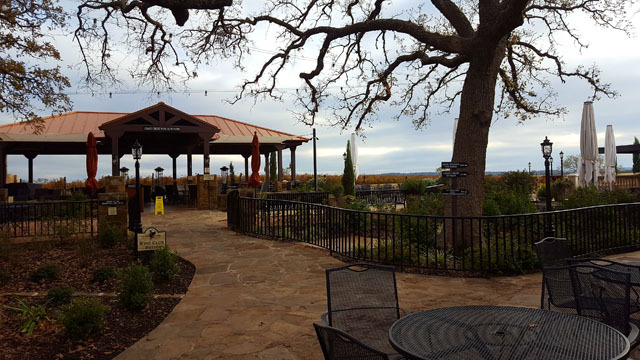 Chisholm Trail Winery is a bit of a hidden gem in Hill Country. With its own pizzeria on site, live music, outdoor games, and being dog friendly, you'd be hard pressed to find something you didn't love about this place. Paula and Mike the owners provide genuine Texas hospitality and southern charm.